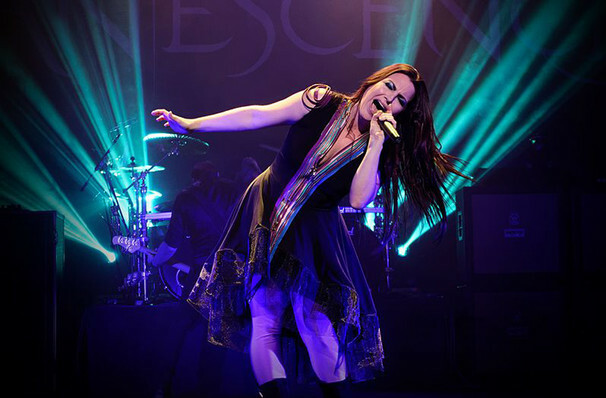 The mighty Evanescence head out on a series of dates this spring! Led by lead singer Amy Lee, this Arkansas group were one of the foremost American nu-metal bands of the 00s, with Gothic-tinged tracks like 'Bring Me To Life', 'My Immortal' and 'Lost in Paradise' rocketing up the charts right across the globe, complemented by their stunning music videos, art-directed to within an inch of their lives. Bringing together the epic, symphonic tendencies of groups like Nightwish and the hard-hitting riffage of contemporaries such as Linkin Park, the band are undoubtedly one of the genre's most important recent figures. We're sure they'll be playing plenty of their old cuts, alongside new tunes from new record Synthesis! Sound good to you? 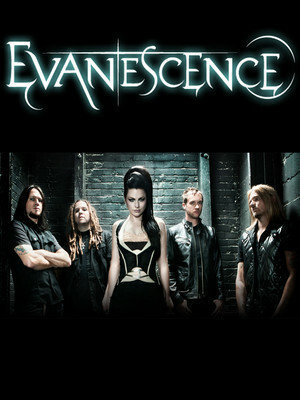 Share this page on social media and let your friends know about Evanescence at Perfect Vodka Amphitheatre. Please note: The term Perfect Vodka Amphitheatre and/or Evanescence as well as all associated graphics, logos, and/or other trademarks, tradenames or copyrights are the property of the Perfect Vodka Amphitheatre and/or Evanescence and are used herein for factual descriptive purposes only. We are in no way associated with or authorized by the Perfect Vodka Amphitheatre and/or Evanescence and neither that entity nor any of its affiliates have licensed or endorsed us to sell tickets, goods and or services in conjunction with their events.